We’re different — our focus is Human Rights. While, we’re apt at assessing civil litigation and employment matters, we remain focused on Human Rights. Despite, few firms focusing in this area of law. At our firm, we treat our clients’ matters like our own. This is particularly true when our clients’ rights are violated. Our Principal, Christopher Karas, has experienced violations first hand as a litigant in some high profile cases. He notably challenged his then French Catholic School Board and his school at the Human Rights Tribunal of Ontario when the school board barred him from putting up posters of his civil rights hero Harvey Milk and a Gender and Sexuality Alliance that he and his peers tried to build through high school. With our unique focus and experience, we set ourselves apart as a leader in Human Rights. Karas Legal Services is housed in downtown Brampton, with consultations offered in Brampton, Toronto and Ottawa. 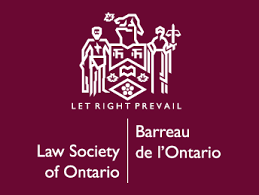 Karas, founded by its Principal, Christopher Karas, serves clients complex Human Rights needs across Ontario. Practice areas include Human Rights, Employment and Civil Litigation. Currently located at LAB B at 60 Queen Street East, Suite 103. LAB B — Brampton's Startup Incubator & Coworking Space forms part of our unique culture. We’re centered around startups, freelancers, students, and creatives. This fuels the creative thinking that sets us apart and allows us to approach challenges with fresh ideas. As members of this community, we aren’t just solving problems, we’re seeking to inspire ourselves and eachother. We know finding the right advocate to represent you is a choice not taken lightly. That’s why our consultations walk you through your needs, the scope of your particular case, and budget.